This banner was created for the chapel at Long Bay Gaol. It measures approximately 2.5m x 3m. 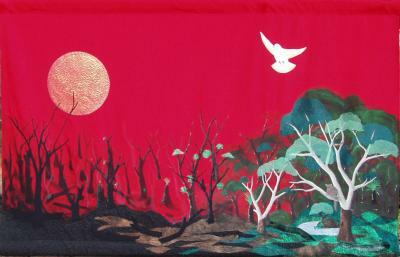 The banner depicts the death to life experience through the symbolism of an Australian bushfire. The left picture is the full banner, and the right picture is a detail of the tree and animals.